I live in a very old brownstone (over 180 years old) and have had the worst banging pipes since I moved in. I’ve had two contractors over to fix the issue. The first replaced the valves in my radiator and my neighbors. Then he sent me a quote to replace all the valves for all the neighbors in the building. 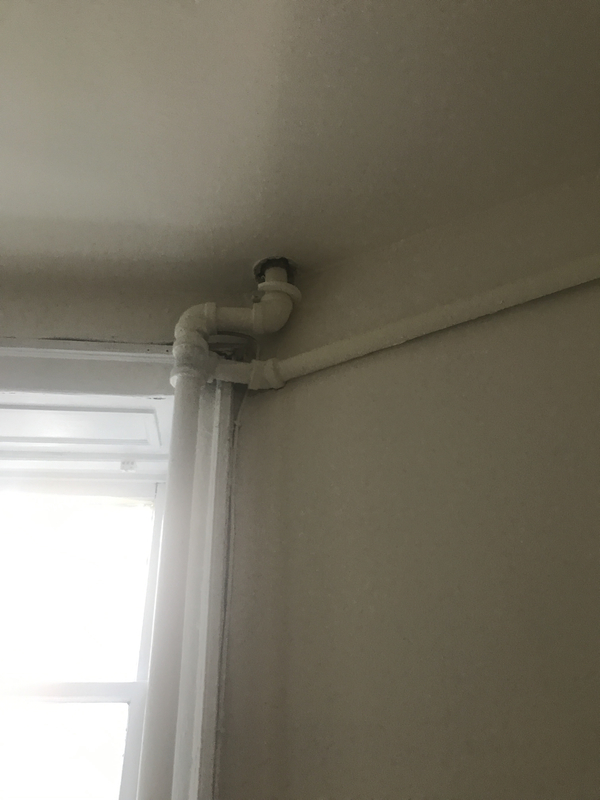 The second said I have a ton of problems because of a horizontal pipe and said the easiest fix is to cap the horizontal pipe, but that could cut heat to my neighbors apartment. He said anything else will cost many thousands. Have you tried the find a contractor button here? It’s important to get someone who is a steam expert, as opposed to a sanitary plumber. Is this system shared between several apartments? Is this system a one-pipe, or two-pipe? Did he replace air vents or radiator valves? Pictures of what he replaced, please. Also can you see what pressure shows on the gauge and what the adjustments are set for on the Pressure controls? (Usually Honeywell...small grey boxes mounted on a small "pigtail" curled pipe. Yes it is possible to have a horizontal -- or nearly horizontal -- pipe without any racket at all. There are lots of them, all over the country. That said, it is also possible to have a horizontal or near horizontal pipe which bangs like crazy -- if the person who installed it or adjusted it or is working on it doesn't know what they are doing. You need a qualified steam guy. Where is this brownstone? We know a lot of good folks around and about. Virtually all steam systems have some horizontal piping. That is not a problem if those pipes are large enough to carry the steam needed for the radiator it is connected to and , on a one pipe system, leaves enough room for the condensate to return to the boiler. Water hammer is the result of steam hitting a pool of water and throwing it against a fitting or something in its path. 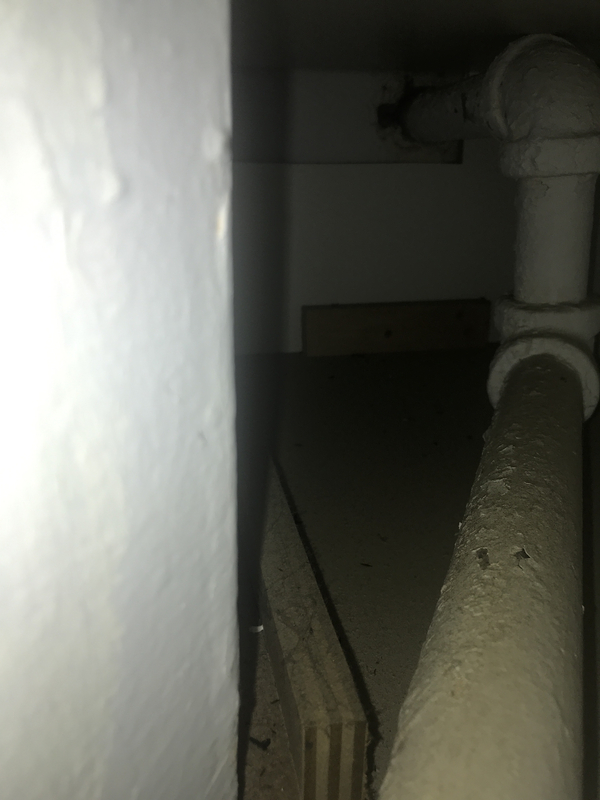 On horizontal pipes, that means making sure none of those pipes have sags in them that will hold water and that the pipe has enough pitch to allow the water to return to the boiler. Steam pressure can be another cause. If the system pressure is high enough, it can prevent the condensate from getting back to the boiler because the steam pressure is pushing it in the opposite direction. My bet is one or more of your horizontal pipes has lost its pitch. The guy you are working with may not know what he is doing. No horizontal pipe that has worked for 100 years needs to be removed because it now causes hammer. Also for him to suggest removing it might cause someone to lose heat is a foregone conclusion. That pipe wasn't put there for decoration. A radiator at the end of it will certainly no longer heat because it no longer gets steam.